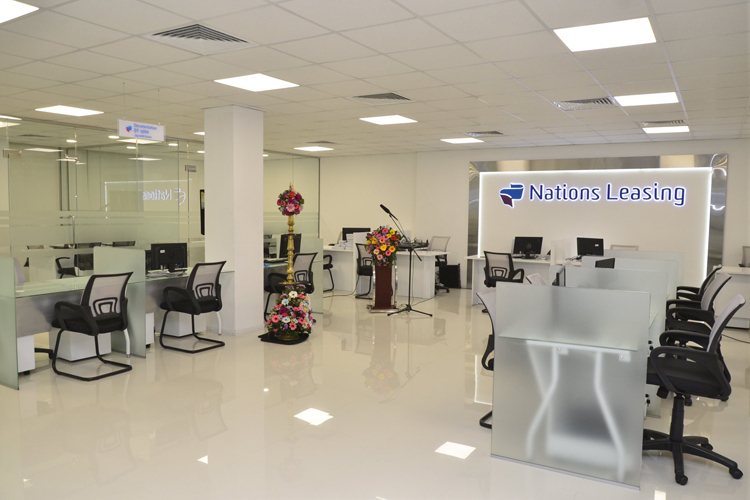 Nations Leasing launched its revolutionary ‘One-Stop Leasing Centre’ recently at Nations Trust Bank PLC, Nawam Mawatha, Colombo 2. The Leasing One-Stop centre simplifies and speeds up the process of obtaining leases for customers. Since the entire operation is now housed in one single location, the Nations Leasing team is able to provide customers with an unmatched, seamless experience with unparalleled convenience; all amidst a well-designed, state-of-the-art office space. Whether it is sales, documentation, leasing services, insurance, settlements, and all needs can now be met in one single location. The Nations Leasing One-Stop Leasing Centre was declared open at a special opening ceremony, which saw top ranking bank officials including the Chief Guest, Director / CEO Nations Trust Bank PLC, Ms. Renuka Fernando, Non-Executive Director Nations Trust Bank PLC, Mr. Suran Wijesinghe and Executive Vice President Leasing – Mr. Priyantha Wijesekera in attendance along with customers, staff and guests.